Discover a wealth of genuine, unique Kenyan information. Kenya's leading information portal. InfoHub Kenya is the leading information portal. What information are you seeking today? No matter what's on your list, InfoHub Kenya can help. With several categories that cover just about every fathomable topic, we are your one-stop online resource for Kenya's life challenges. Hours of research have gone into all the answers and solutions you find on our site. We only consult authoritative sources and take the advice of experts in the respective content categories. Begin your quest for information by using the search bar at the top right corner. Alternatively, browse our latest articles below, popular pages or archives. In the event you do not find what you are looking for, please send us a suggestion to add content by visiting our contact page. So we'll ask again, what information do you seek today? On Infohub Kenya's Facebook page, we have a picture of an old man in a bath tub set as a cover photo. A reader recently asked us whose image that was and why we use it as our cover photo. Well, the picture is a caricature of Archimedes. Archimedes was an ancient Greek mathematician, physicist, engineer, inventor, and astronomer. He lived between 287 and 212BC. He is credited as being the father of several mathematical principles; the most well known being the Archimedes principle, a method for determining the volume of an object with an irregular shape. He is said to have been so excited by the discovery of this principle that he took to the streets naked shouting "Eureka! Eureka!" which is Greek for, "I have found it". So, back to our reader's question. Why do we use an image of Archimedes on our Facebook page? Well, we take pride in being the leading information portal in Kenya. What information are you seeking today? 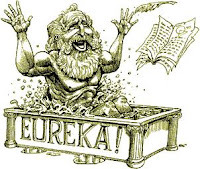 We hope that you have a Eureka moment each time you find useful information on our website. What is the Faiba Paybill Number? What is the Zuku Paybill Number?